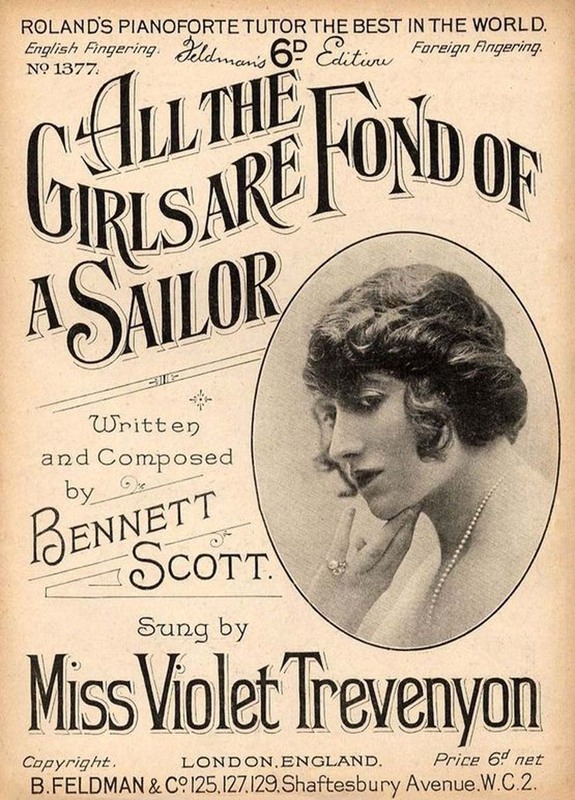 Bennett Scott was born in London in about 1872 to Isaac and Catherine Scott. Isaac, a travelling salesman, was of Jewish origin, possibly originally from Poland, so the surname is perhaps an adopted one. 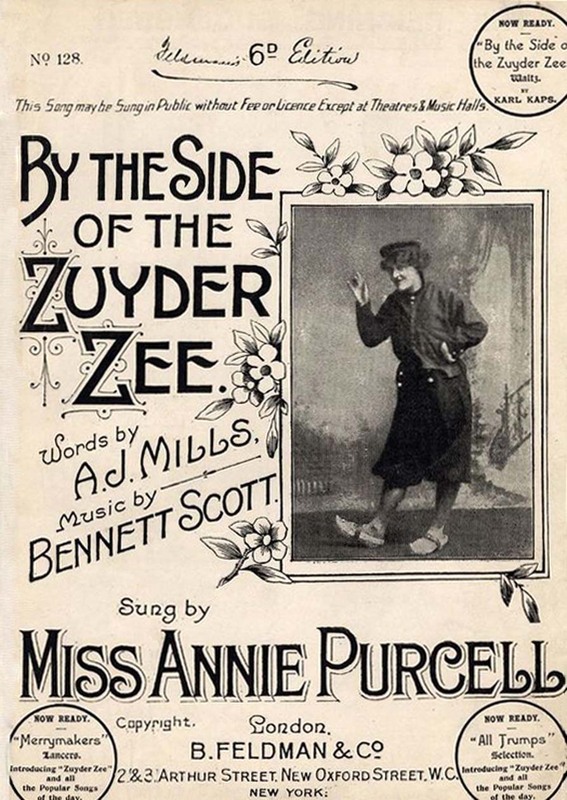 Scott briefly worked as a magician, but became known as a prolific Music Hall songwriter, both on his own account, and in collaboration with lyricists such as AJ Mills and Fred Godfrey. In 1906 Scott and Mills founded the music publishing firm “Star Music”. 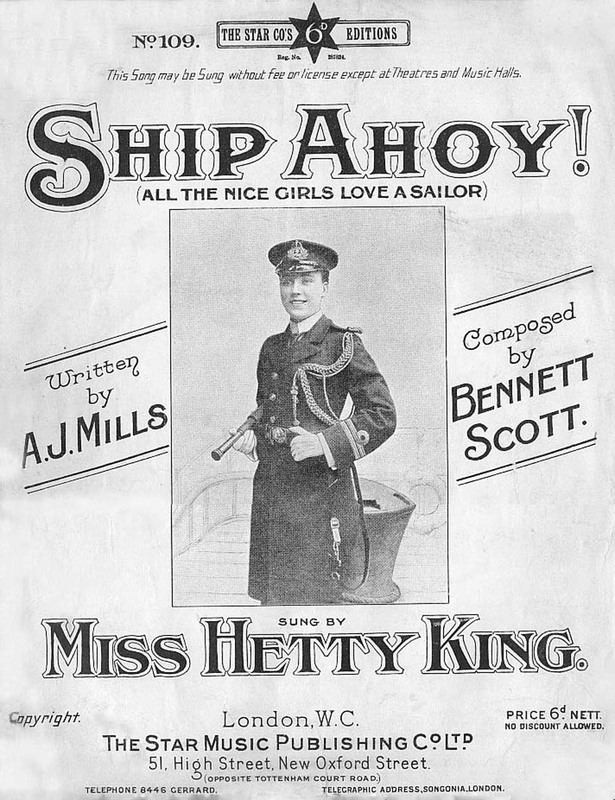 Some of Scott’s early successes included “Darling Mabel”, “Big Ben” and “By the Side of the Zuyder Zee”, while later compositions “All the nice girls love a sailor” and “Take me back to dear old Blighty” enjoyed enormous popularity. The latter was credited with having “cheered hundreds of thousands of soldiers” during WW1, but advertising in 1916 stressed it was written as a comedy song, not a patriotic or sentimental one. Collaboration with lyricists sometimes brought debates over ownership and Fred Godfrey felt he was excluded from the credits for some songs he considered partly his. 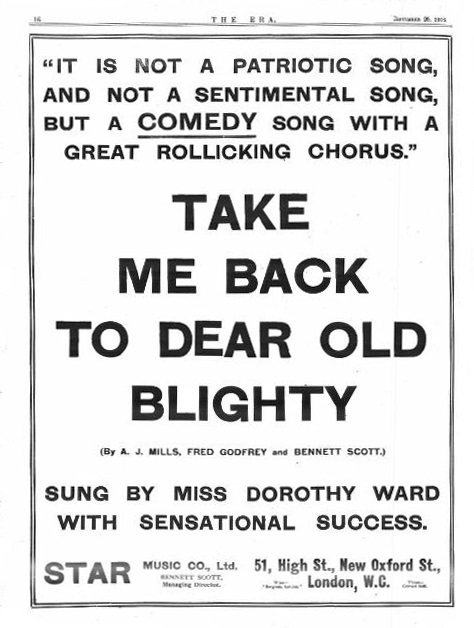 Scott’s own view on one instance of this was demonstrated in a letter to the Editor of “The Era” in February 1930, where he states that he and Mills wrote the song “Take me back to dear old Blighty” together and only later gave Godfrey a third share in recognition of changes to some lyrics. 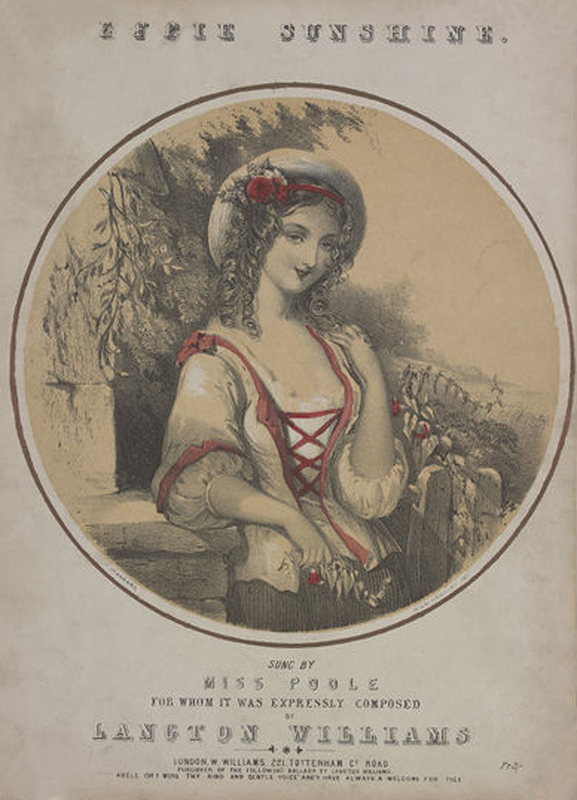 Scott clearly took the distinction between lyricist and composer seriously at a time when a song was much better known by the name of the singer who performed it – sheet music of the time frequently gives much more prominence to the singer’s name. 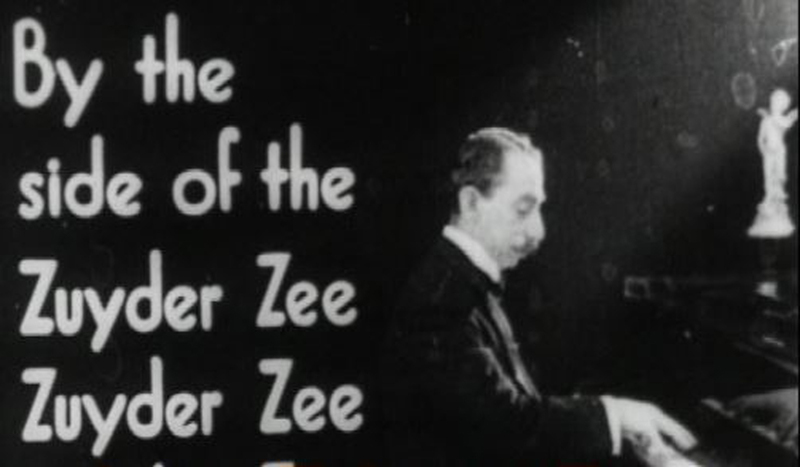 The British Pathé archives has a short newsreel clip from 29 March 1928 showing Bennett Scott in his garden and playing the piano, although sadly the clip is from the silent era. The clip does raise a question about Scott’s family life. The 1911 census shows him with a wife, Doris, and indicates they had been married for about 9 years, although I have been unable to trace details of the marriage. They had no children in 1911. Within three months of the film being made Scott was married again, to Daisy K Henderson. The film shows Scott in his garden with a young girl, aged perhaps about 5, and the details accompanying the clip describe her as his daughter. This could perhaps be an assumption on the part of the anonymous writer – I have not been able to find out what happened to Doris, or to confirm there were children of that marriage, as Doris would have been in her late 40s when the girl in the film clip was born. The film clip is available at https://www.britishpathe.com/video/eve-presents-another-novelty-words-and-music-by/query/bennett+scott and also on YouTube at https://www.youtube.com/watch?v=dEzHBBTsxy8. Scott had a younger brother, Maurice who also became a songwriter, collaborating with some of the same lyricists. Bennett Scott died in his sleep in June 1930 and was buried in Plashet Jewish Cemetery, East Ham, London. Maurice also died relatively young, at the age of 52, in 1933. Information about Walter Shephard is scarce, but the little I have been able to find does illustrate some of the social changes described elsewhere on this website. He was born Walter Stephen Shephard in 1870, the son of Stephen, a London Hackney Cab Driver, and Sarah. In 1891 Walter was an advertising clerk and his older brother William a newspaper clerk. By 1901 Walter was a self-employed advertising agent and the 1911 census lists his occupation as composer. Perhaps his advertising work brought him into contact with the musical world? 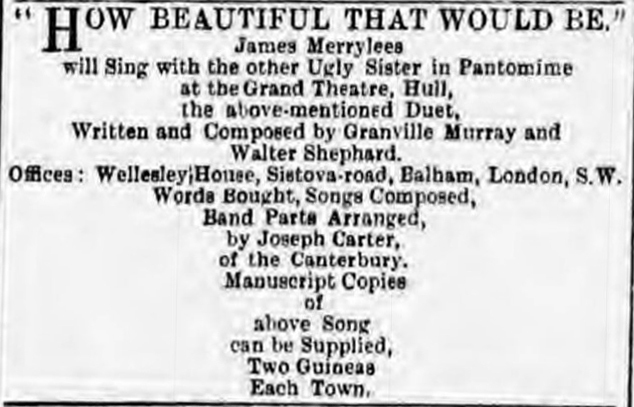 In addition to his song in MHJ 81, “The Only Way”, I have found reference to pieces published in the early 1900s written jointly with Willard T Maith, Granville Murray and James Merrilees. Merrilees was a music hall performer and in 1892 had toured America with the Edith Ross Scottish Concert Company, which described him as “comedian, singer and reader”. In 1901 Shephard and Merrilees both lived in Sistova Road, London, which was the office address listed in an advert in The Era in December 1900. Also living in Sistova Road at this time was William Murray and his family. William was a Colonel in the Salvation Army, and it is tempting to speculate whether he was the same person as Granville Murray. In 1909 The Era reported that Shephard had submitted a patent application for “improvements in or relating to musical instruments”, but did not include further details. He died in 1937, but social change continues to affect the area where he lived. Sir Walter Besant’s Survey of London, published in 1908, described the houses in this area of Balham as being “of the two-story jerry-built villa type, with an atrocious lack of taste in every detail”. One such property sold for £1.4 million in 2015! 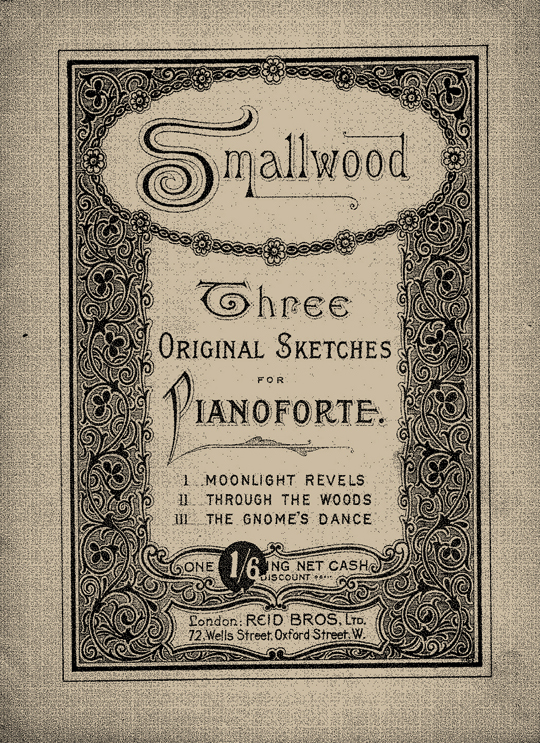 Born in 1831, William Smallwood was a native of Kendal in Westmoreland, and came of a musical family. His father was a bandmaster and singing teacher, whilst uncles on both sides were well-known instrumentalists and vocalists. At the age of fifteen he was appointed organist of St. George’s Church, Kendal, a post that he held for fifty years, and by eighteen he was a full time teacher of music. He was best known as a composer and arranger of piano music for pupils in the earlier stages of their studies and was one of the first fully to finger his pieces, often written to suit the needs of his own pupils. Among his best known arrangements were series such “Classics at Home,” and “Little Buds,” as well as volumes of exercises, and his very popular piano tutor. He also wrote several hymn tunes and many successful anthems. Smallwood never married, but lived in Kendal with an unmarried sister, Grace. At least two of his nephews, sons to other sisters, seem to have followed him into music teaching. He died in 1897. Arthur John. Taylor, born in about 1861 in Birmingham, was the son of a tailor and started his working life as a tailor’s assistant. By 1881 he had begun to teach banjo and became a prominent teacher and player. He first met AO Windsor in 1885 while trying to find an English-made banjo he could recommend to his pupils. Together they formed the firm of Windsor & Taylor. Unlike other manufacturers, every part of their instruments were made in their factory in Newhall Street, Birmingham. Taylor and Windsor also formed the Birmingham Amateur Banjo, Mandolin and Guitar Orchestra, with Taylor as Musical Director and Windsor as Manager, which gave regular concerts, especially in the Midlands area. I believe the orchestra is still in existence. 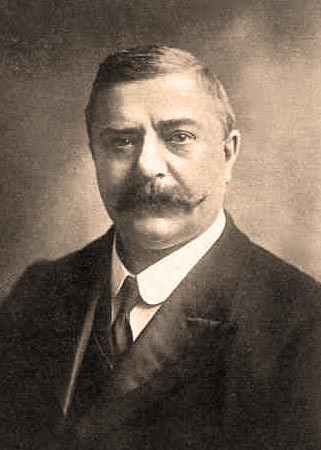 In 1901, Taylor left the firm which continued in business as Arthur 0. Windsor. Taylor married Mary Agnes Bodell in 1886 and they had four children. Taylor has a variety of job descriptions on census returns – Music Seller in 1891 and Musical Instrument Dealer in 1901. In 1911 he described himself as Musician – another hand has added “& Piano Tuner”. Henry Tolhurst, born in 1854, was a violinist, organist and composer, and teacher of violin, piano and harmony. He was the son of Henry Tolhurst, grandson of William Henry Tolhurst, and great grandson of Henry Tolhurst, all of whom were musicians. He was a member of the Royal Society of Musicans, taught at Greys College, Essex and was Director of and taught at Tunbridge Wells School of Music, was Leader of Claremont Amateur Orchestral Society and contributed a volume about Gounod to Bells Miniature Series of Musicians. He was the author of Cramer’s Rudimentary Tutor for the Violin and also edited and revised Henry Farmer’s earlier Tutor for the Violin. For the most part his output was original compositions for the violin and arrangements of the works of other composers for the same instrument. He died in 1939. 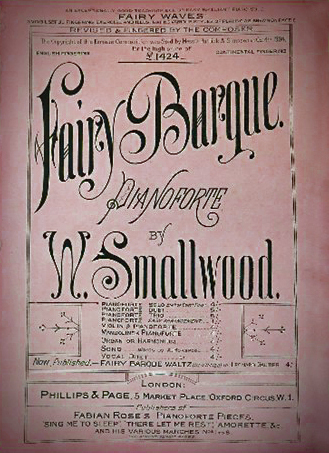 The use of pseudonyms was not uncommon during the time the Musical Home Journal was published and it is often not possible to know composer’s real names. Another contributor to the Journal of a few children’s pieces was Paul Arnold. One of Henry Tolhurst’s sons was named Paul Arnold Tolhurst, who having been born in about 1895 was probably too young to have been composing when the Journal was published. It is purely conjecture, but I wonder if his father used his son’s name for these pieces? 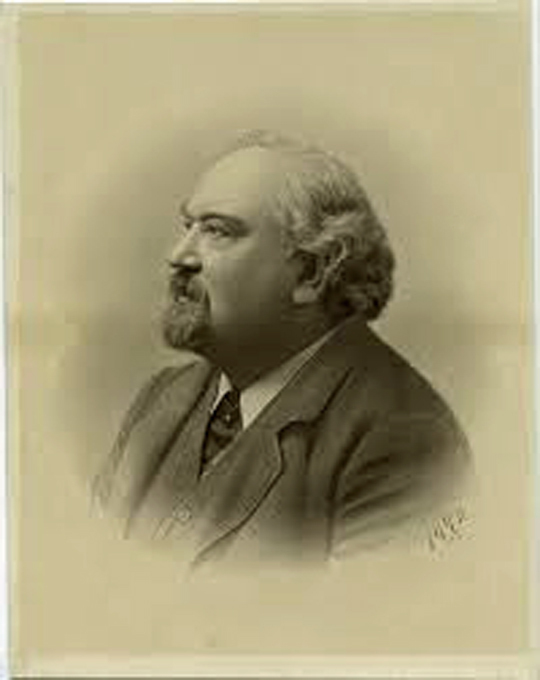 Arthur Trevelyan was a prolific composer and lyricist, producing most of his work in the 1890s and the early 1900s. Very few details of his life are now available. The earliest reference to him I can find dates from August 1891 when “Mr Arthur Trevelyan and his company” performed ”Moths” and “The Lady of Lyons” at the Gaiety Theatre and Opera House in Burnley. 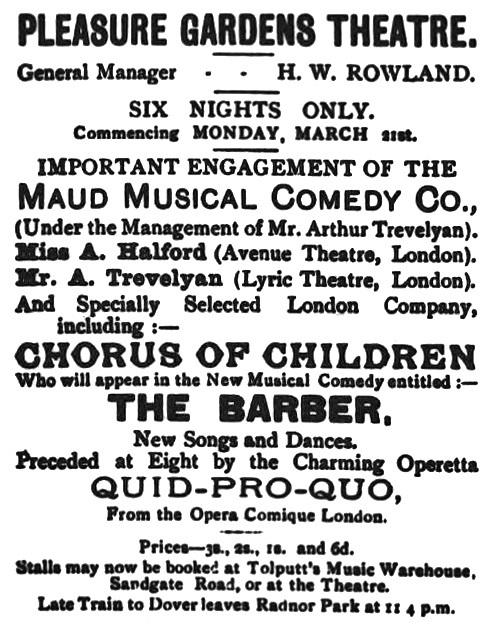 In February 1892 Trevelyan was listed as director of the Maud Musical Comedy Company, having previously been at the Lyric Theatre in London. The Lyric was known for musical comedy and opened in 1888 with a production of Dorothy. 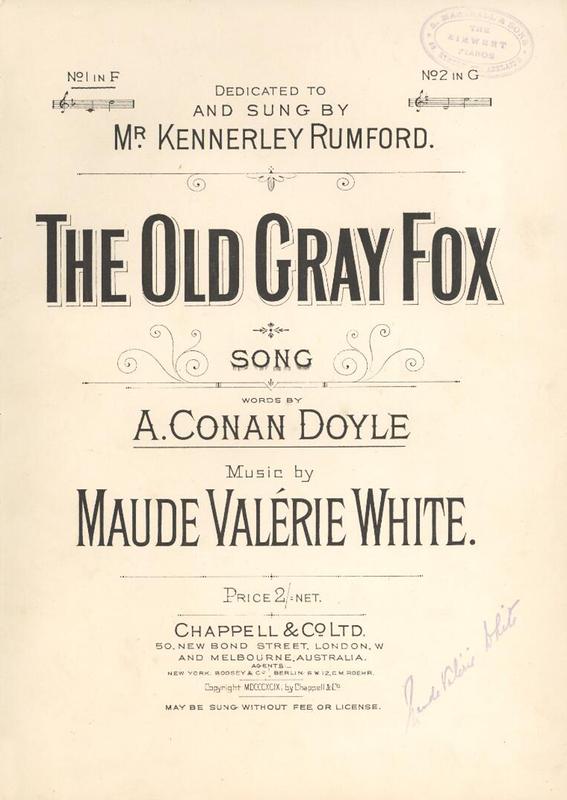 The cast list does not include Arthur, but there are chorus-type roles. The last newspaper report for Trevelyan’s new company was April 1892, suggesting it was not a success. He contributed one or more items to musical/farces “The Rogers Brothers In Wall Street” and “Star and Garter” produced on Broadway in 1899 and 1900. Most of Trevelyan’s work was in the comedy genre, but much would not be considered “pc” today. Trevelyan married Florence Button in 1906 and the 1911 Census records his occupation as “Commercial Traveller (Cigars), author and composer, living chiefly earned by Commercial Travelling (Cigars)”. By the time of the 1939 Register he lists only Cigar Merchant as his occupation. On that Register his date of birth was given as April 1875, which would have meant he was still a teenager while directing the “Maud” company. I have been unable to trace any birth record or family, so until any further information comes to light I have to assume that he was probably rather older than he claimed, and may have used a pseudonym. Born Henry Robert Alfred Trotter in 1856 to parents Robert Kirk Trotter and Clara Mary Ann Williamson. 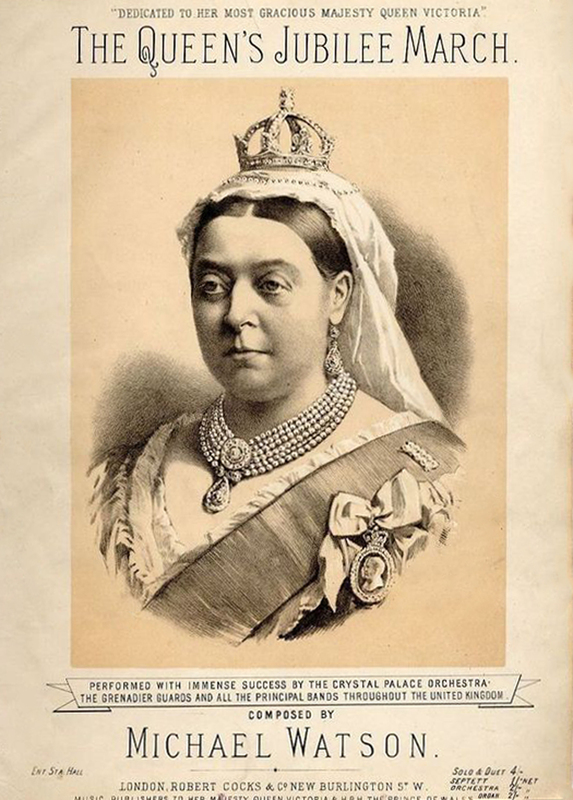 Before her marriage Clara and her father William Alfred Williamson were both described as musicians on the census. 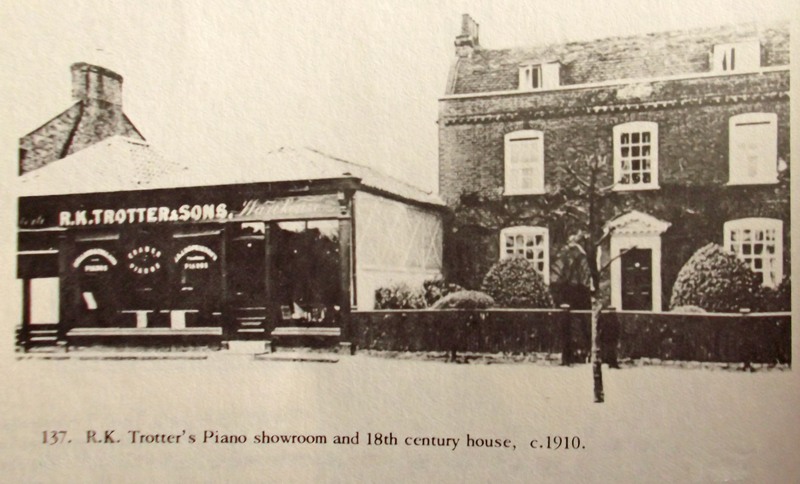 In 1861 Robert was working at a small arms factory, but later censuses describe him as a piano tuner/dealer, with a showroom in Cheshunt. The marriage ended in divorce in 1868 and both Clara and Robert remarried. Henry seems to have spent some time in the Army, and was acting Sergeant when he purchased his discharge from the Rifle Brigade in 1882. He married Jeanie Baron in 1884 and they had one son, Henry Baron Trotter, born the following year and who died in action in WW1. The census describes Henry as musician and composer, and he published regularly from the 1880s onwards. His first big success, although not his first compostion, was with “In Old Madrid”, apparently written on a biscuit bag during the break of a concert in which he was a member of the orchestra! He collaborated with several lyricists including Clifton Bingham and Fred Weatherly and according to the publisher Cramer, his songs sold 3-4 million copies, including 750,00 copies of “In Old Madrid”. He died in 1912. 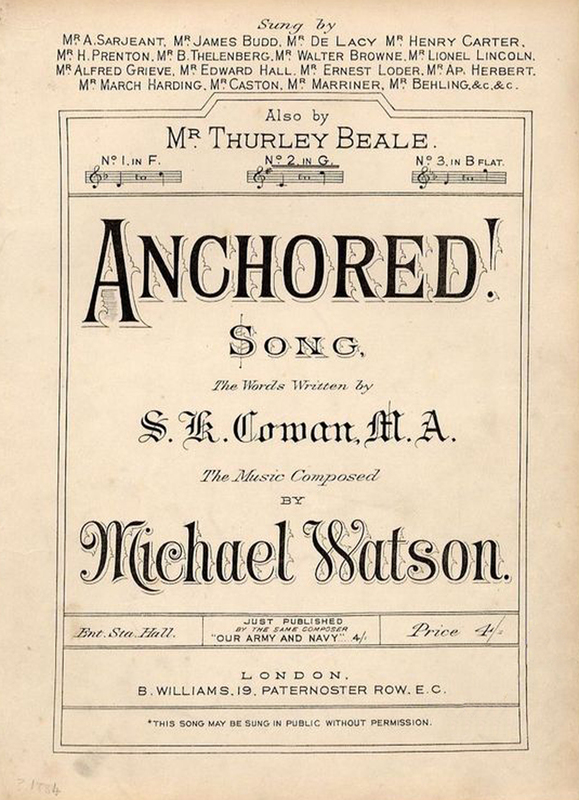 Born William Michael Watson in 1840 in Newcastle upon Tyne, his father, also William, was a professional musician. 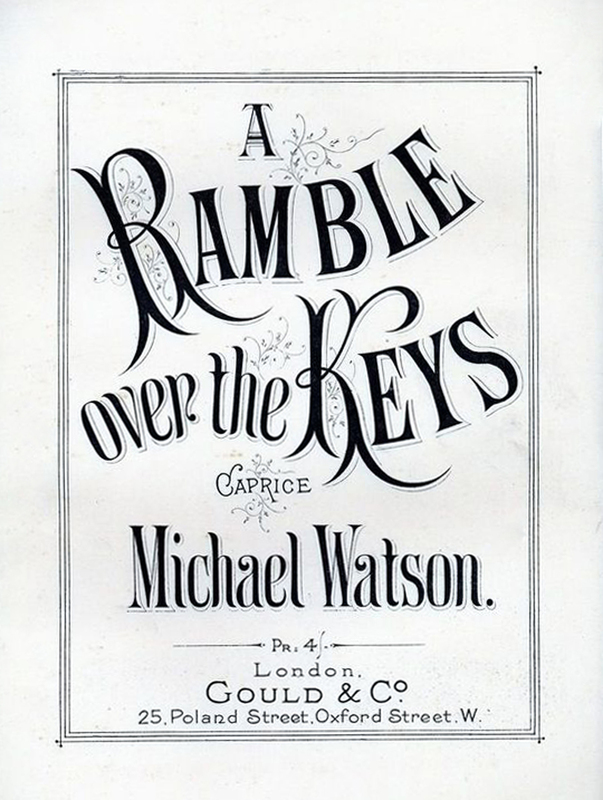 Watson initially began training for a career in Art, studying at Leigh’s School and the Royal Academy of Design at Marlborough House, before changing direction to become a musician. 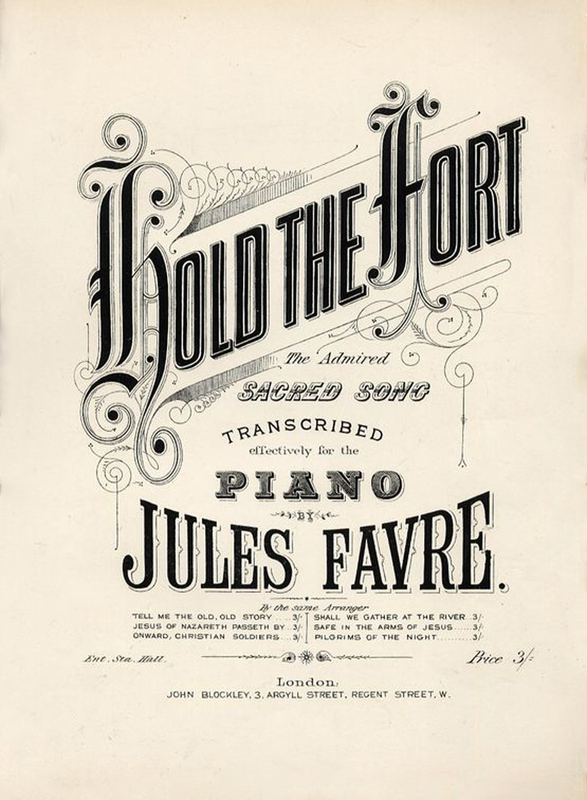 Some of his early publications used the pseudonym Jules Favre and were often piano arrangements of works composed by others. In 1868 he won a part-song competition and his song “The Powder Monkey” became known world-wide, including appearing in a 1938 collection of folk songs on the volcanic island of Tristan de Cunha in the South Atlantic. As well piano pieces and numerous songs such as “Anchored”, “The Kissing Gate” and “Little Birdie Mine” he also wrote church anthems and a cantata, “Aladdin”. In 1883 he established the West End School of Music and was also known for his work as director of a well-respected amateur choral society. In 1861 he married Charlotte Campbell, the daughter of John Campbell, a music seller and together they had eight children. In 1889, while working on two sacred cantatas and a comedy opera, he died suddenly at the age of 49. 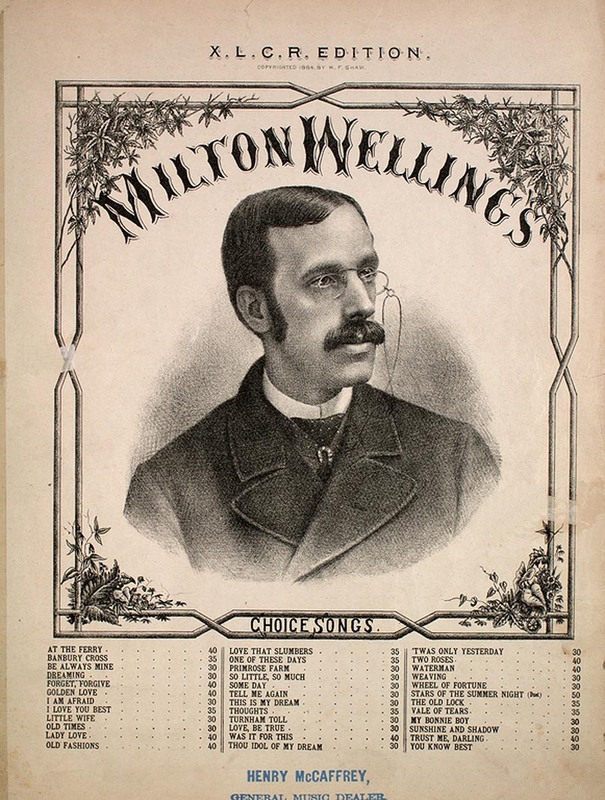 Joseph Milton Wellings was born in Handsworth in 1850, the son of Joseph and Charlotte Wellings. Joseph senior was a manufacturer of glass and emery papers. Joseph junior married Clara Jane Stamps in 1874, and they had at least two children, Georgina, born in 1888 and Thomas born in 1889. Wellings achieved considerably popularity in the latter part of the century with songs such as “Some Day”, “Golden Love”, “This is My Dream” and “Honey, Dear”. 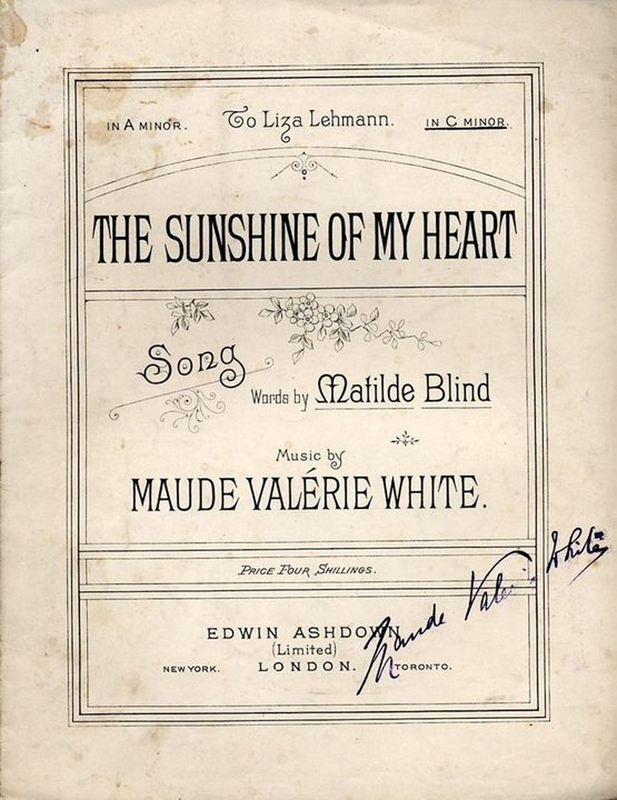 Like many other composers published in MHJ he wrote with librettists such as Fred Weatherly and Edward Oxenford. Despite this popularity, in 1896 he was declared bankrupt, a fate which befell several of the composers listed here, with debts of £2630. In Court it was stated that prior to 1893 he earned about £150 a year in royalties in addition to a retainer of £300 a year. Since then his annual earnings had been no more than £50 a year. Partly this was blamed on public taste, which Wellings thought had “degenerated so that he cannot write the class of songs now demanded”. Publishers were also felt to have been able to profit much more than composers. “Some Day” had been sold for 10 guineas, and made about £10,000 and “Golden Love “ for about 8 guineas, and made about £8,000. It is not clear whether these figures included sales by the music pirates as well as the original publisher. Wellings’ career seemed not to have recovered after his bankruptcy. 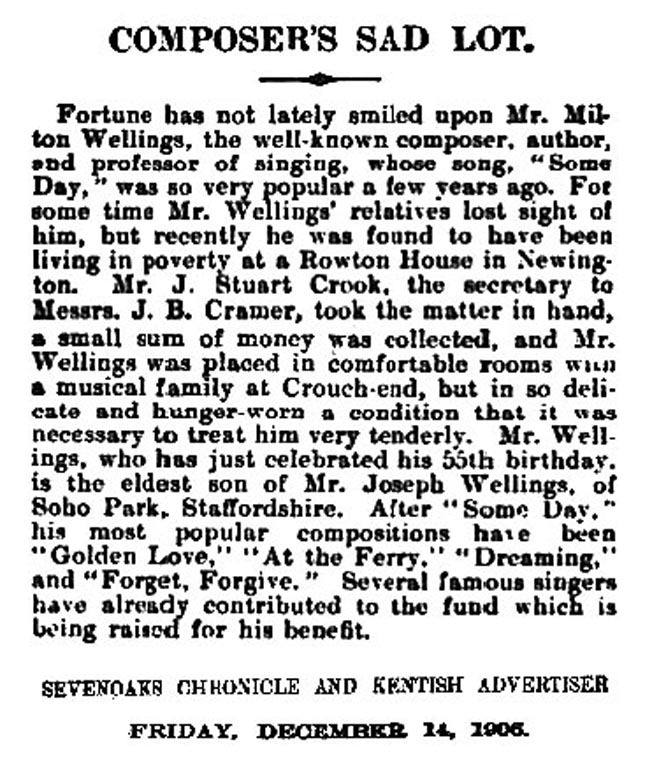 In 1899 he was advertising in local newspapers in various towns, offering singing lessons. I have been unable to trace his wife and daughter after 1891, but his son served in the RAF in WWI and in 1939 was helping run a garage owned by his wife in Tendring. From 1906 onwards there were reports of Wellings’ dire financial situation in various newspaper reports in both Britain and the USA. At one point he was “rescued” from living in Newington’s Rowton House, a hostel for working men of limited means. These hostels were an improvement on the workhouse, where Wellings also was admitted twice in 1912, being described as “destitute”. On each occasion he was discharged to the infirmary of St Marylebone. 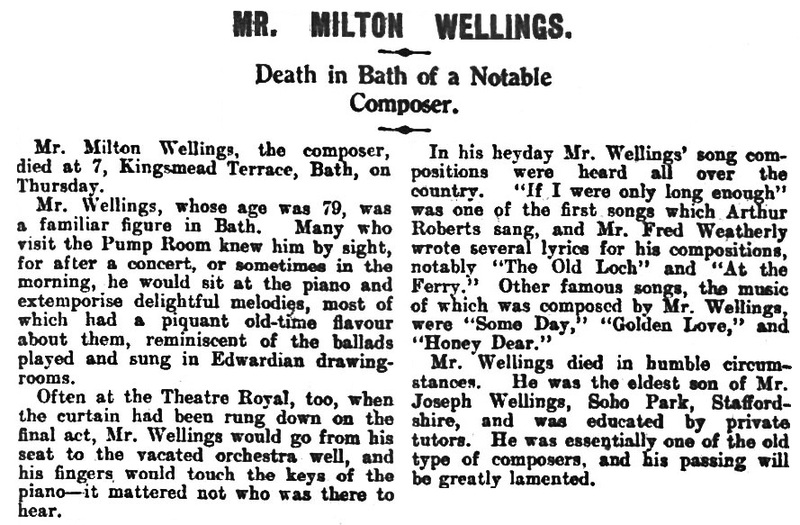 Wellings died in Bath in 1929 and the report in the Bath Chronicle and Weekly Gazette of 23rd February 1929 gives some indication of how he spent the later years of his life. White was born in Normandy in 1855 to English parents and was brought up in Heidelberg, Paris and England. She played the piano from an early age, and studied with several teachers before attending the Royal Academy of Music. There she studied Composition with George Alexander Macfarren, and set poems written in English, German, and French. She was the first woman to win the Mendelssohn Scholarship, in 1879. 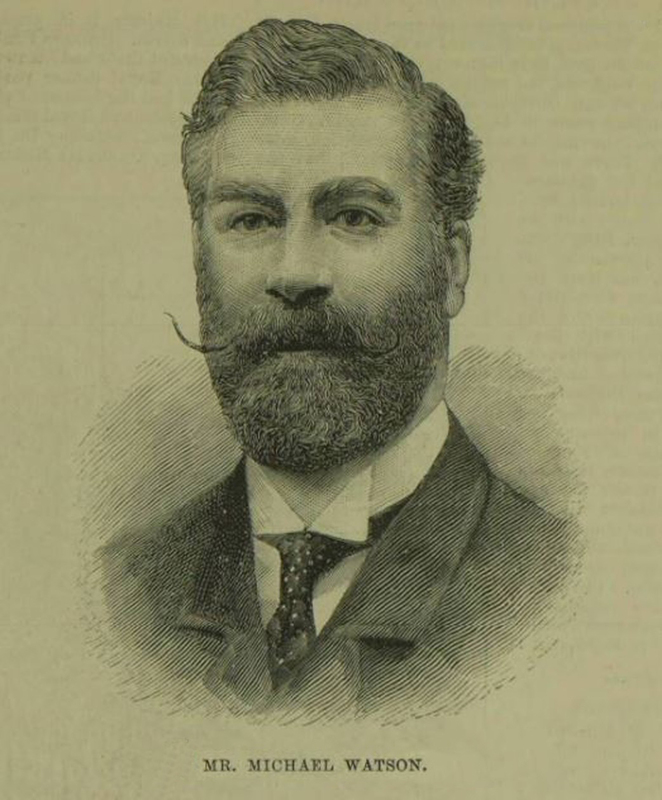 After a time in Chile White returned to London in 1882 as a professional musician and composer. 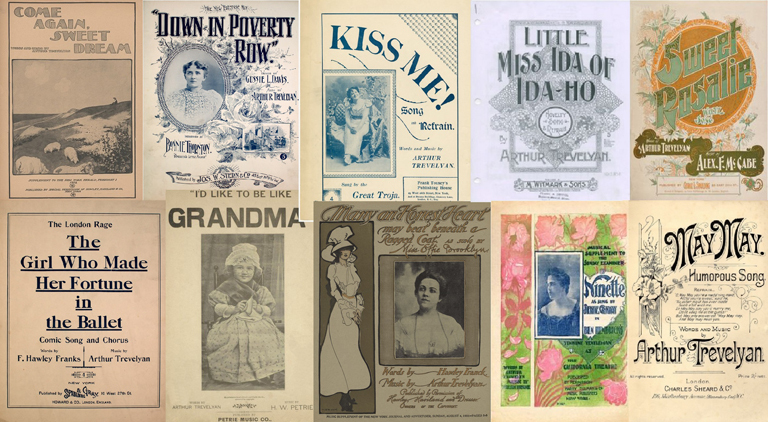 Her song writing earned her a following by many of the great singers of the time, including Santley, Melba,Gervase Elwes, Roger Quilter and Robert Hichens. Her 1888 setting of Byron’s “So we’ll go no more a-roving” was dedicated to Herbert Beerbohm Tree. She set works by Shelley, Verlaine and Hugo among many others, as well as 15 of Blake’s “Songs of Innocence and Experience”, with an output of over 300 songs. She also wrote a ballet, “The Enchanted Heart”. White had more than a hundred performances of her work included at the Proms – the woman with the single largest number of works performed and in the top 100 even when male composers are included. White wrote two memoirs, “Friends and Memories”, published in 1914, and “My Indian Summer”, published in 1932. In addition to her musical works, she used her considerable linguistic skills to translate books and plays, including Munthe’s “Letters from a Mourning City.” She was also an accomplished needlewoman. In July 1935 White was awarded a Civil List pension in recognition of her services to music. Her poverty at the time despite considerable music sales was apparently at least partly caused by an enthusiastic, if undiscriminating, generosity to the poor. She never married and died aged 82 in 1937. Real name William John Daft, he was born in 1832 in London to parents William Langton Daft and Harriet Harris. The family seems to have generally used the surname Williams. 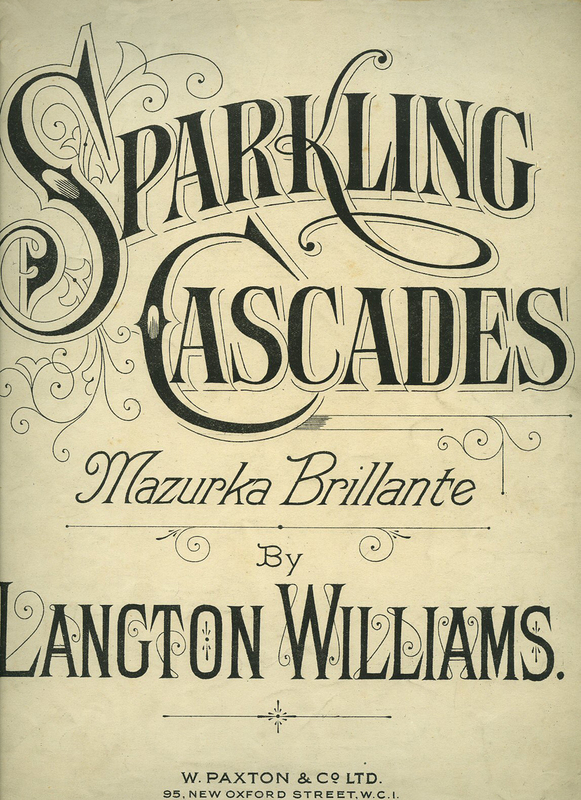 Langton Williams published from the 1850s until the early 1890s, sometimes writing specially for the well-known singers of the day, including Miss Poole, Miss Stabbach and Madame Parepa. The census describes him as Music Teacher, Musician and Professor of Music. His father was employed as a Stay Maker for most of his working life, but by 1871 he had become a music publisher. 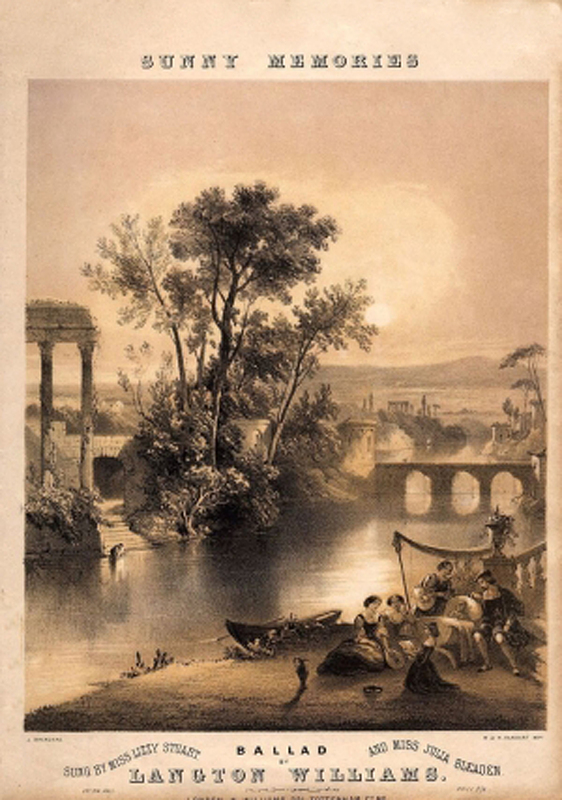 In 1865 the family connection to music had been extended by daughter Ann’s marriage to Joseph James Harris who was a music seller and engaged in the manufacture and sale of pianos. The Harris family seemed to have made the piano their business, with sons also being involved in tuning and selling pianos, and Mary Harris, the wife of one son, being a piano silker. This latter job probably involved replacing the pleated silk used in the front of older pianos. 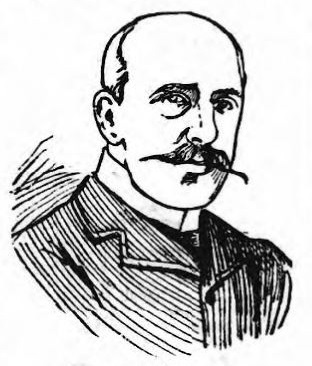 Langton Williams never married, and died in 1896. His work continued to be published, both in MHJ and elsewhere into the 1920s. Grenville Dean Wilson was born in 1833 in Lenox, Massachusetts. His father, a business man and politician, initially opposed musical training but his mother’s influence enabled him to train in Boston. After a period helping run the family business Wilson taught at various schools before moving to Nyack to teach at Rockland Female Institute in about 1870. 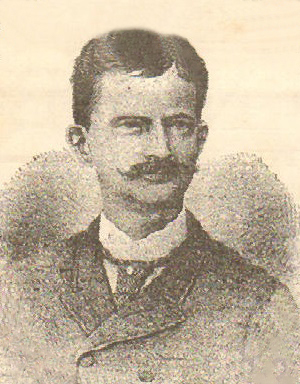 Shortly after he married Josephine Maria Emery (1846-1931), a former pupil. When the Institute closed in 1880 he continued to compose and teach privately. He wrote over 150 pieces, mostly for solo piano. 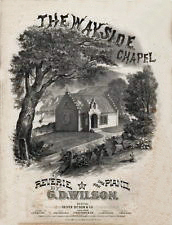 A small sandstone chapel outside the village is thought to have provided the inspiration for his piece The Wayside Chapel: perhaps also the chapel had a bell? 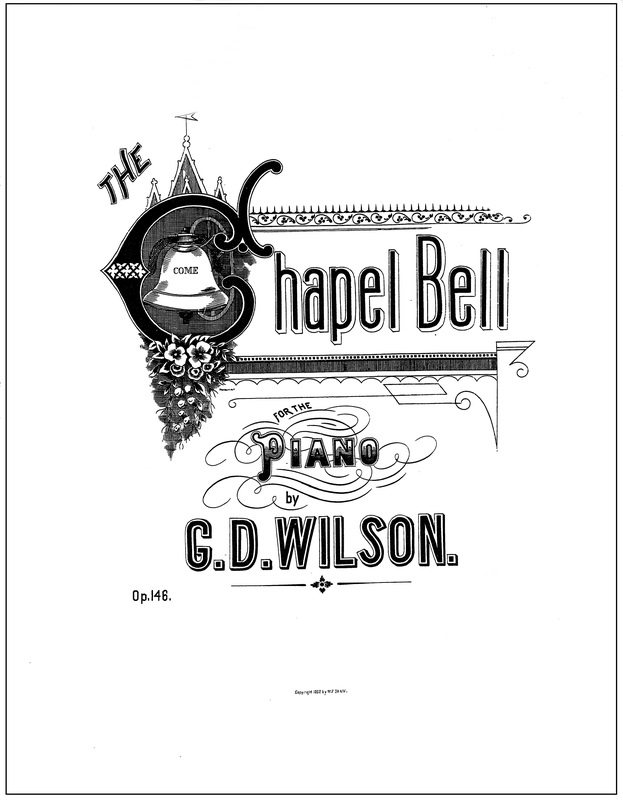 (The Chapel Bell is incorrectly ascribed in MHJ to CD Wilson). Soon after joining the Institute Wilson set up the Nyack Choral Society, which ran for about 20 years, as well as the Nyack Philharmonic Society, which did not last so long. 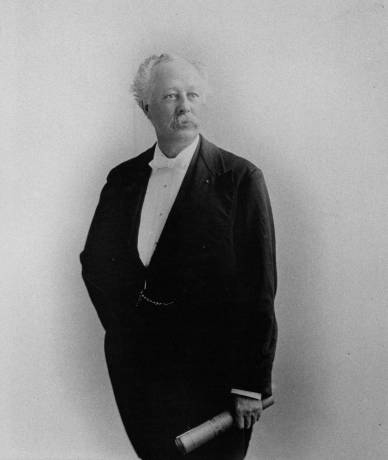 He was also instrumental in setting up the first public (subscription) library in Nyack, through organising fundraising benefits, and become the first president of the board of trustees in 1890. Josephine was equally committed to the library, contributing to the annual fundraising fairs and continued this work after Grenville’s death in 1897, as well as being involved in musical and other community activities. They had begun negotiations for funding from Carnegie Foundation, with the new purpose built library opening in 1903. They had no children. 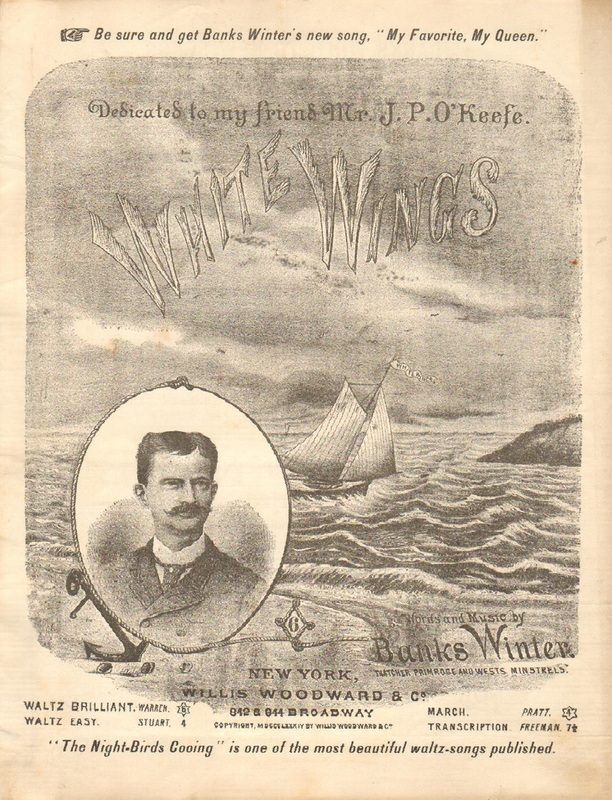 William Banks Winter was born in Macon, Georgia in 1857 and became a well-known minstrel, composer and showman known for his “silver” tenor voice – “no minstrel grand circle was considered complete” without him. His most famous composition was “White Wings”, which earned royalties of over $500,000. 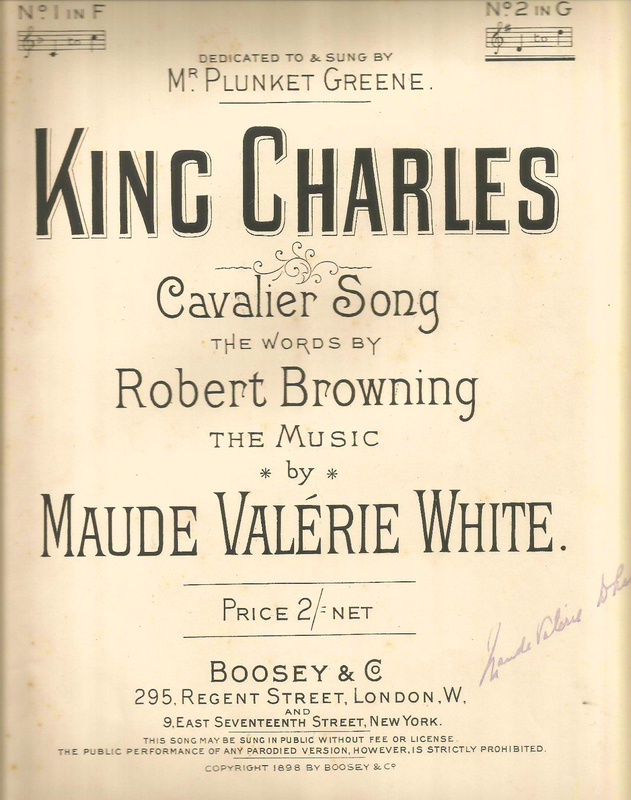 This success came about after he became a member of the Primrose and West touring minstrel troupe, who were among those who realised the benefit of paying a share of royalties of sheet music sales to the composer/performer. 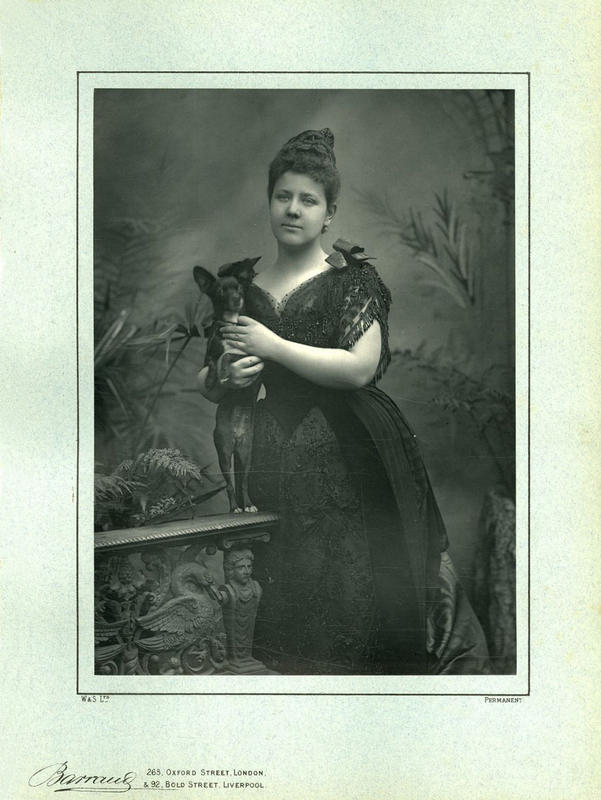 In 1887 he married Clara Dumming Newman, apparently described by Oscar Wilde as the “most beautiful woman in Alabama”, and they had three children, including Winona who followed her father’s footsteps onto the Broadway stage as actress, singer and ventriloquist. 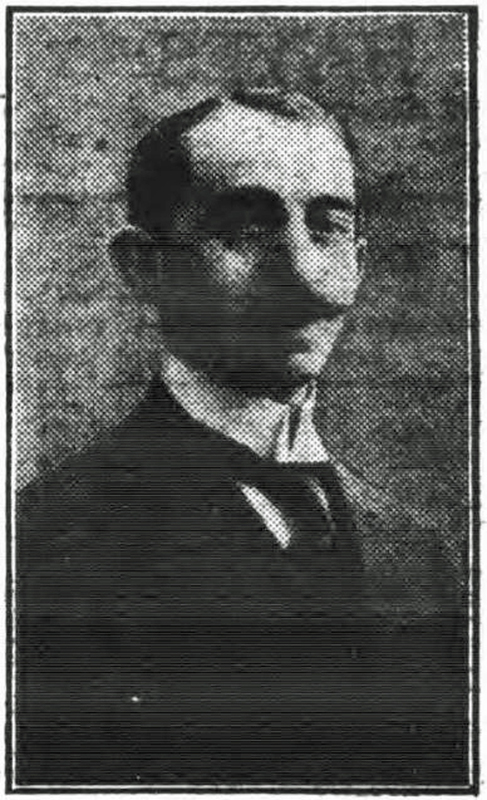 Banks Winter died in 1936.